Make no mistake about it, property clean out is serious business. This isn’t something to take lightly because it’s often fraught with safety and health risks. Plus, it can easily be overwhelming. Whether you’re dealing with a hoarding situation or you’ve bought a distressed foreclosure, when it comes to property clean out, you’ll need a solid plan to follow. If you are dealing with a partial or whole property clean out, you should know this isn’t for the faint of heart. It’s not only time consuming but usually back breaking work. So, you’ll need a few sets of helping hands to help out. What’s more, if it is a hoarded, be prepared for some really nasty surprises. And, if you’re unsure what it is and how to deal with it, call in professional help. Also, keep in mind that you can’t simply drag everything out to the curb. You’ll discover (as an unpleasant surprise) the local trash collection service doesn’t pick up everything. Most agencies (and even private companies) are limited in what they accept. For instance, hazardous materials, like electronic waste disposal, is one example. That means you’ll have to find another way to deal with it. No heavy lifting. Remember, if you get a waste container, the onus is on you to fill it up. That means you have to do all the work. But, with a property clean out crew, they’ll do the hard labor for you. Forget the sorting. As mentioned above, if the job contains any hazardous materials, you won’t be able to dispose of them in a dumpster. That’s because these companies have long lists of prohibited items. And, they inspect what you throw in so you can’t just cover it up. Know the price upfront. Another advantage of a property clean out service, is you’ll get an upfront quote. But, doesn’t a dumpster company give you a price? Yes, the trick is you have to get the measurements right. Rent a container that’s too large, you’ll waste money. Rent one that’s too small and you’ll need to book it again. 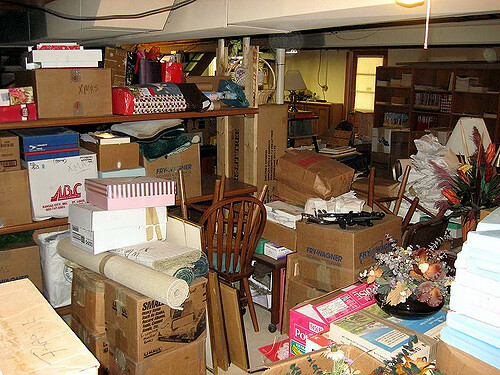 If you need a reliable property clean out service, just phone 800-433-1094 or visit Junk Garbage Removal.